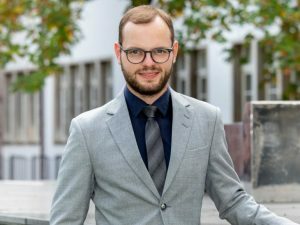 Yesterday, Christof Weiß, who works at the International Audio Laboratories Erlangen, received the KlarText Award – the Klaus Tschira Foundation’s prize for science communication. His winning entry in the Computer Science category was entitled Das ist Haydn. Ganz sicher! and explains in an easy to understand manner the key ideas and results of his doctoral thesis about algorithms that can recognize musical styles. Christof Weiß, born in Regensburg, Germany, in 1986, studied physics at the University of Würzburg and composition at the University of Music Würzburg. He subsequently went on to conduct research at the Fraunhofer Institute for Digital Media Technology IDMT in Ilmenau, where he also wrote his dissertation entitled Computational Methods for Tonality-Based Style Analysis of Classical Music Audio Recordings. His paper describes algorithms for analyzing music recordings. Weiß is now continuing his research into these technologies at the International Audio Laboratories Erlangen. In his article Das ist Haydn. Ganz sicher! 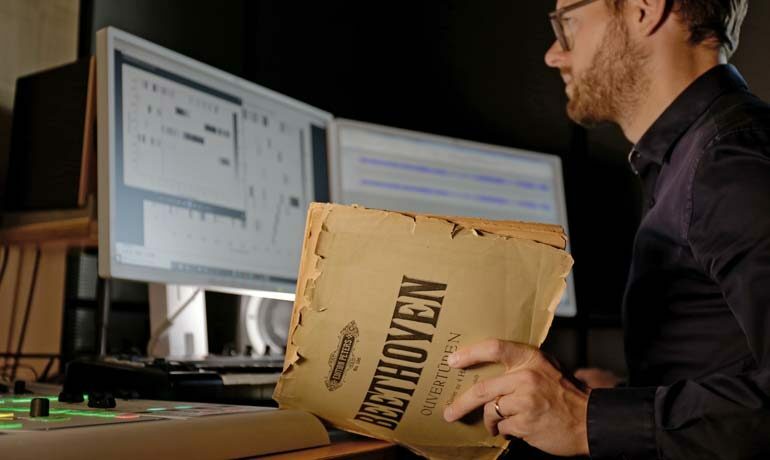 he describes how computers can succeed in recognizing the composer of a piece of music and the epoch in which it was created. To this end, he programmed an algorithm that can measure the dominant pitches of a recording and derive characteristic features from it. 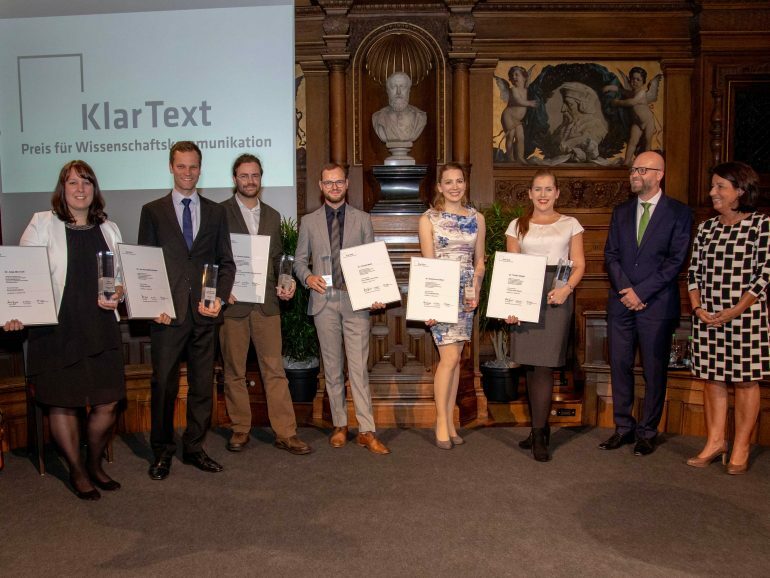 In total, six young scientists will receive the KlarText Award this year. They earned their doctoral theses in completely different areas of research and wrote a paper in German about it – a text intended to draw people’s attention to current developments in research and aimed at a wider target audience than the research community. The Klaus Tschira Foundation is conferring the prize for the 16th time. In 2018, 161 scientists submitted a text in one of the following categories: biology, chemistry, geoscience, computer science, mathematics, neuroscience or physics. A jury of journalists and scientists selected the best submissions in a three-stage process. As in previous years, the winners can each look forward to 5000 euros in prize money. The winning texts were published in a science magazine as a supplement to German newspaper Die ZEIT on October 11, the day of the award ceremony. 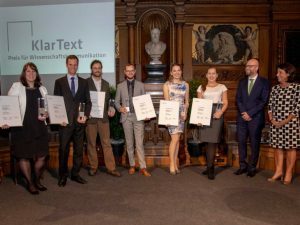 The KlarText winners worked in close collaboration with experienced science journalists to edit their articles for final publication in the magazine.